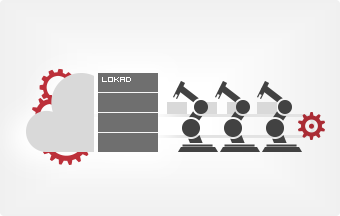 Lokad delivers state-of-the-art predictive analytics to improve the performance of manufacturing companies. Through Lokad, manufacturers can reduce their stock levels, both of raw materials and finished goods, while improving their quality of service with higher product availability and reduced delays. Our quantile forecasting technology is tailored to deal with the erratic demand patterns frequently found in manufacturing as well as to effectively analyze complex supply chain scenarios. The classic planning approach assumes that it is possible to build an accurate weekly forecast for every product to be manufactured up to a given number weeks ahead. As the forecast is assumed to be (perfectly) accurate in this instance, all production and supply chain decisions become a mere matter of executing the predefined plan. While this approach is very appealing, it invariably fails. In manufacturing, weekly or monthly forecasts are the recipe for ongoing struggles with delays and quality of service. Lokad’s technology does not dismiss the uncertainty associated with future demand, but embraces it instead. Our technology outperforms “classic” forecasting and planning methods where weekly or monthly forecasts are supposed to be the alpha and the omega of predictive analysis. Lokad, on the other hand, leverages a more powerful type of forecasts named “quantile grids”. These forecasts are significantly “richer” since they represent the respective probabilities of all the possible futures, and not just the “average” case scenario. Quantile grids are uniquely suited to handle the erratic demand patterns frequently observed in manufacturing. In particular, Lokad can handle the “granularity” of the demand as some clients may order in quantities that are significantly superior to the quantities ordered by other clients. We also handle all the varying lead times that may exist between your company and your suppliers. Internal lead times relating to the actual manufacturing process are also taken into account. Purchase orders or production batches are statements about the expected future demand. If a purchase order is too high or too low, this usually generates inefficiencies which cost money. We help our clients realize that the purchase orders or the production batches themselves are the “true” demand forecasts, and that these forecasts are associated with forecasting errors expressed in dollars instead of mere percentages. Lokad’s predictive technology reduces the “dollars of forecasting error”, and not just the percentages of error. Our technology forecasts the respective probabilities of all possible futures, and allows your company to make the appropriate decisions that not only “fit” the future demand, but that also correctly measure all the financial risks involved in the different scenarios provided. Lokad can compute optimized reorder quantities taking into account all the necessary supply chain constraints such as minimum order quantities, container shipments and varying lead times. 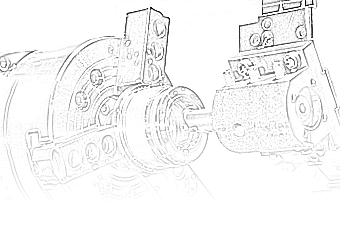 We also take into account the importance of each separate component or material for the overall manufacturing process, as the stock-out of a single reference can interrupt an entire production line. In addition, we can also compute optimized production batches that take into consideration the production lead times and the expected service timelines of your customers. Lokad’s forecasting technology leverages the historical data of your business, such as the list of references being produced, the bills of materials, the history of stock movements, the history of raw material consumptions, and so on. Under the hood, Lokad leverages machine learning, big data methods and cloud computing. Our technology is not only advanced, but it is highly automated as well. No statistical skills are required because all the forecasting models are automatically auto-tuned by Lokad. Unlike many alternative forecasting solutions, with Lokad, your teams will not be required to spend months adjusting the statistical parameters as this process is managed by Lokad in its entirety. Thanks to our application’s full automation, all “predictive” decisions can be refreshed on a daily basis taking into account the most recent information relating to client orders and stock levels across the entire chain. Also, our technology is operated in SaaS (software as a service) mode and is intended to be an “add-on” on top of your existing ERP or MRP. 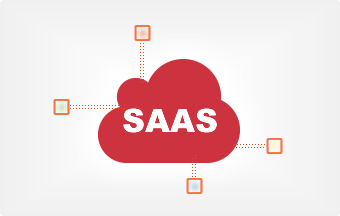 Operating in SaaS mode means that your company’s IT division will not have to manage yet another software solution, incurring high TCO (total cost of ownership). In fact, Lokad is designed to work on top of an existing business solution, typically an ERP, a MRP or a WMS. Lokad improves the quality of your numerical decisions (quantities purchased, moved or produced), but does not require any changes to be made to your IT landscape. Our focus lies in the minimization of the “dollars of forecasting error”, not the percentage of forecasting error. Lokad’s experts are here to work together with your teams to clarify and quantify your economic drivers such as the cost of inventory, the opportunity cost of stock-outs, the cost of delays in client dispatches, etc. Through the analysis of such economic drivers, we can set up the necessary KPIs that will be used to assess the quality of the decisions to be proposed by Lokad. Lokad does not fall for the old misconception whereby it is supposedly reasonable to carry out all the forecasts first, and to roll out all the decisions afterwards. While this approach is “possible”, it is inefficient. Indeed, whenever the manufacturing challenge is framed in accordance with this misconception, economic drivers are completely ignored by the forecasting process. By co-integrating the economic drivers with the forecasting process, Lokad produces highly accurate decisions that correctly balance the business risks with business opportunities. Whether these decisions are built on top of weekly or monthly forecasts, or any other specific kind of forecasts, does not matter. The only things that matters is the endgame business performance; which is exactly what Lokad strives to deliver.